Inspector’s decision on Windfarm Appeal successfully challenged. 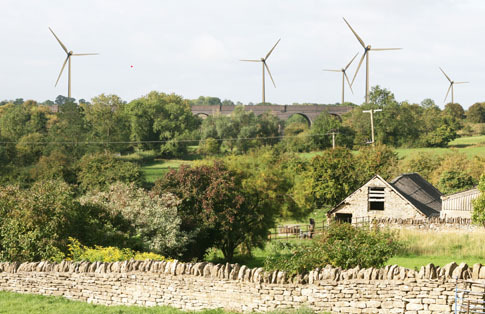 Broadview Energy’s proposal for five 125 metre high wind turbines between Helmdon, Greatworth and Sulgrave was refused planning permission by South Northants Council in June 2011. The company appealed against this decision and a public inquiry was held at Towcester in May 2012. The Inspector, Mrs Elizabeth Fieldhouse decided to allow the appeal. South Northants Council and Mrs Veronica Ward on behalf of the Helmdon, Stuchbury and Greatworth Windfarm Action Group, brought a legal challenge to this decision. The case was heard in the High Court in December last. His Honour Judge Mackie QC found that whilst the Inspector had identified conflicts with the Development Plan policies in respect of the main issues at the appeal, she had failed to accord the Plan the weight which the law requires. He therefore quashed the appeal. The Planning Inspectorate is currently deciding what steps to take to remedy this situation and it could be that there will be a new public inquiry. Details of this decision will be posted on the website as soon as they are available. This entry was posted on Monday, February 4th, 2013 at 8:48 am	and is filed under News. You can follow any responses to this entry through the RSS 2.0 feed. You can leave a response, or trackback from your own site.